At Clio, we have one mission—to help lawyers build a better practice. We’re always fine-tuning Clio and adding more functionality to help better suit your needs. Helping lawyers work more efficiently is incredibly important. Why? Clio’s 2016 Legal Trends Report found that lawyers spend just 28 percent of their workday on billable work. That number needs to be increased. From simpler trust accounting to a more intuitive mobile app, you’ll find plenty of new ways to streamline your practice management with Clio—so you can spend more time on billable work. Here’s a list of our top improvements to Clio in 2016. As a lawyer, you likely deal with trust accounts, and the stringent requirements that accompany them. You need to be able to safely request client funds, and securely deposit them into trust, all while meeting key trust accounting requirements and keeping your banking information up to date. However, entering each and every transaction into your practice management system can be time consuming. Worse, it leaves you vulnerable to error—and potentially, to a malpractice suit. 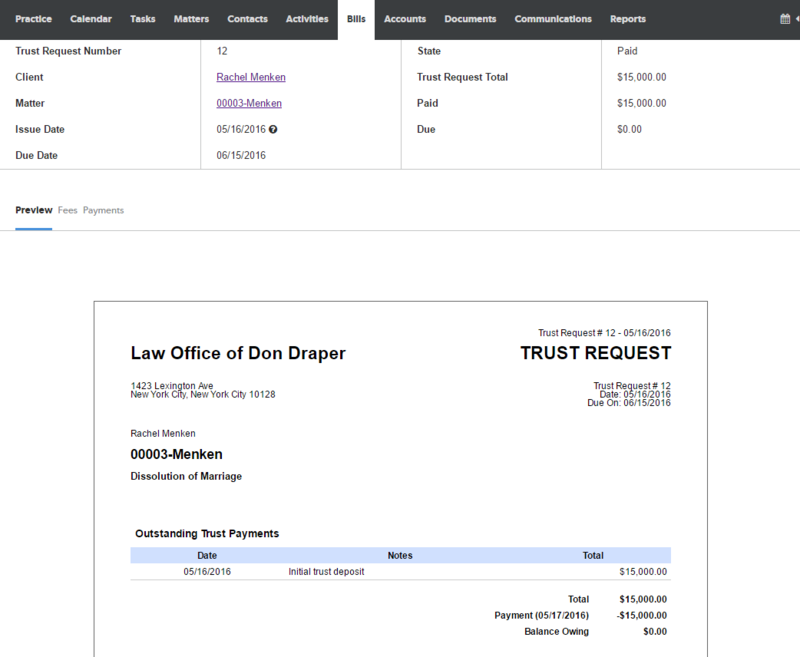 Now, with Clio’s new Trust Requests functionality, you can quickly and easily request client trust payments from directly within Clio. This minimizes the possibility for manual error, keeping you compliant and simplifying your trust accounting process. There’s even an option to include a secure link to allow your client to pay directly into a trust account online. To stay organized, lawyers need more than just a to-do list. Prioritization and planning take longer than you think, especially with multiple people involved, so you need to constantly look for ways to make this area of your practice more efficient. 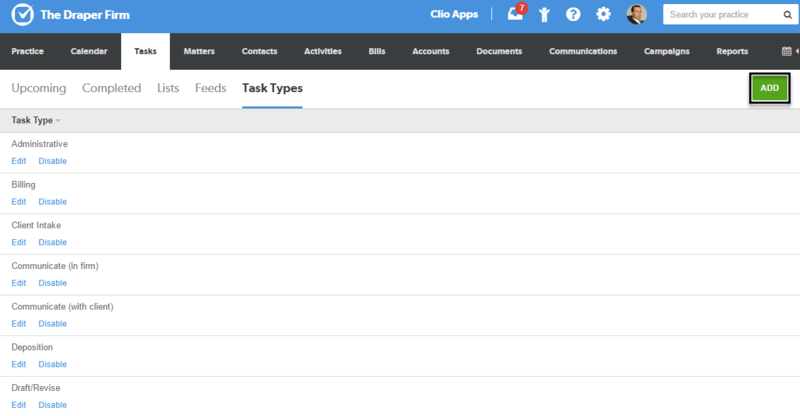 Clio’s Advanced Tasks can help. Available to Elite subscribers, Advanced Tasks help you prioritize and measure productivity with ease. Add task types, task statuses, and time estimations to every task for added visibility into everyone’s workflows. Then, use productivity and progress reports to track the productivity of individuals and teams. It’s that simple! According to the 2015 ABA Legal Technology Survey, a staggering 90 percent of lawyers regularly use their smartphone as their primary means of performing law-related tasks when away from their desk. Translation: lawyers need a mobile app that truly lets them manage their practice from their mobile phone. An intuitive home screen shows your five most pressing calendar events, tasks, and most recently updated matters. *Note: These features will also be available in the Clio Android App in 2017! Busy lawyers need to stay on top of key dates and deadlines, as missing them could potentially lead to a malpractice claim. But with multiple court rules governing requirements over multiple jurisdictions, it can be easy to make a mistake when tracking everything manually. Clio’s Court Rules feature, available for Elite subscribers, lets you automatically calculate key dates and deadlines based on court rules in a number of jurisdictions (see the full list of available jurisdictions here). A step-by-step wizard now effortlessly guides you through the process of applying and customizing the jurisdictional deadlines you require. Improved search functionality helps you quickly and easily find and double check the deadlines you’re looking for. Finally, one of our top requested features this year was the ability to bulk-edit time entries. And for a good reason: Editing numerous individual time entries is a time-consuming and error-prone process. You may need to edit multiple time entries for a number of reasons—say, when a lawyer leaves your firm and you need to reassign time entries to a different user, or when it is necessary to make rate adjustments before billing a client. However, this wasn’t previously an option in any cloud-based practice management system. No more! In Clio, you can now select and modify a group of time entries at once. Simply modify the matter, rate, date, and user for multiple entries—one click ensures all time entries are corrected, assigned, and aligned as required. 2016 was a busy year for Clio’s product team, but we’re not stopping there. In 2017, we’re moving ahead with Clio Apollo, the first ever ground-up redesign of Clio. Keep an eye out for more updates from Clio in the new year. See a feature you like that isn’t included in your current plan? Contact Clio today to get the tools you need to take your firm to the next level. This post was published on December 20, 2016 . Last updated: December 20, 2016 .